Homepage / WOODWORKING / Which 20 Woodworking Hand Tools Should You Buy First? Which 20 Woodworking Hand Tools Should You Buy First? I created these hand tool buyer’s guides to help beginners who feel overwhelmed when trying to understand which hand tools they need first. It’s frustrating! Below you’ll see my summary list of the 20 basic professional woodworking hand tools that you should start to accumulate in order to start building the most basic woodworking projects. When you’re ready, you can follow the yellow buttons to visit each of the buying guides for each type of hand tool, to get help with understanding hand tool features, brands, & models. At the bottom of this page is a handy full list of tools that is sorted by “urgent”, “semi-urgent”, and “not-urgent” to buy. 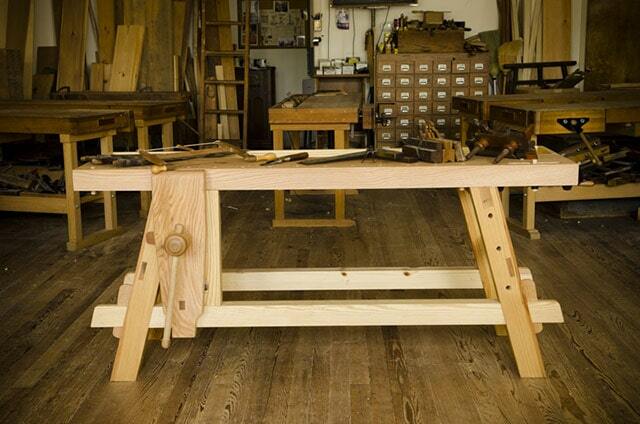 A wooden workbench has always been the center of a traditional woodworker’s workshop. If you’re really on a tight budget you can get away with almost anything that allows you to secure your wood in place for planing and sawing, and use clamps to secure your workpiece. 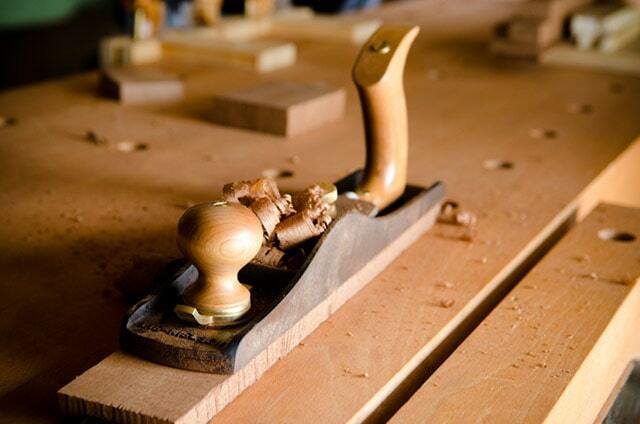 A Jack Handplane is a middle size “bench plane” (i.e. planes that are used so often that they are usually on your workbench). If you’re on a budget a jack plane can temporarily be used in place of other planes that perform specialized functions: (1) rough stock removal (if you buy a second iron/blade and shape it with a curved “camber”), (2) jointing board edges (as long as they aren’t too long), and (3) smoothing the boards. You’ll eventually want to purchase a dedicated smoothing plane (No. 4) and jointer plane (No. 7), but a Jack Plane will let you get started working! A new and sharp low angle Jack Plane would be ideal for beginners and professionals who aren’t up for rehabbing a handplane.